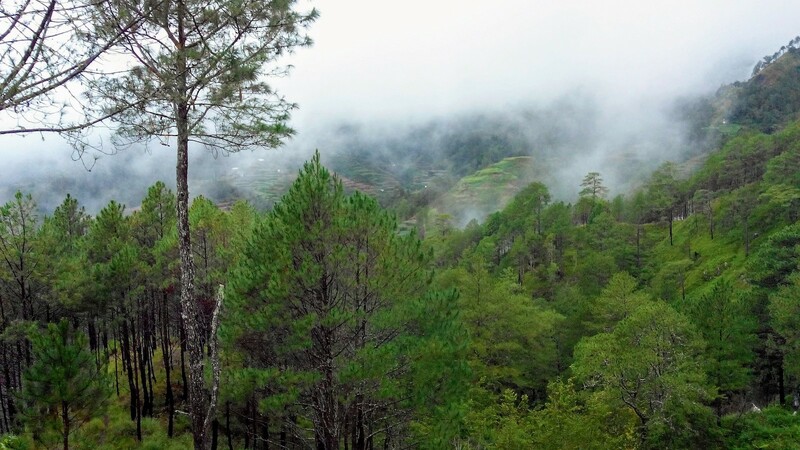 My online searches had resulted in the advice to book tickets in advance for there are only four daily buses for Sagada from Baguio, the hill-station I had arrived yesterday. But who follows advice when they are young? So there I was, standing at the bus station just before 12pm after making a short tour of the city, and there was no bus for 12pm, the last one leaving at 1pm was already full. I was offered to take one of the few remaining small folding seats. A 7-hour mountainous trip lay ahead. Because I am so young and the journey was so short, I took it. I am in the bus now. We have covered about one-third of the journey. The route is infamous for accidents. Yesterday’s ticket to Baguio was coupled with an insurance. And it’s raining cats and dogs today. The visibility is so low I can’t even see where the bus will fall if that is to happen. The big sign in the bus—Please report reckless drivers at 444-9938—doesn’t help either. At the solidarity dinner on the last day of conference, I was introduced to an AccessNow guy as: Meet Sohail, he’s the anti-surv rockstar in Pakistan. I laughed so hard. But if I die today, don’t blame the lSl, it will be my athri jawani. Previous post: Philippines: Beyond Manila Next post: Philippines: Filipinos want to know you!